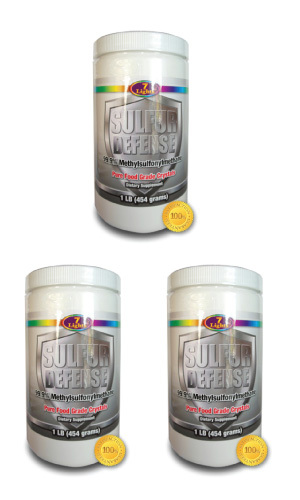 Sulfur Defense is organic sulfur - also know as MSM. Organic sulfur is a primary mineral needed to build, repair, rejuvenate, nourish, and cleanse the cells of the human body. Regular use of organic sulfur (MSM) is one of the best ways to transport and deliver nutrients and oxygen to the cells in our body. Organic Sulfur (MSM) helps more oxygen and nutrition get into the cells by increasing the absorption effectiveness of cell membranes! 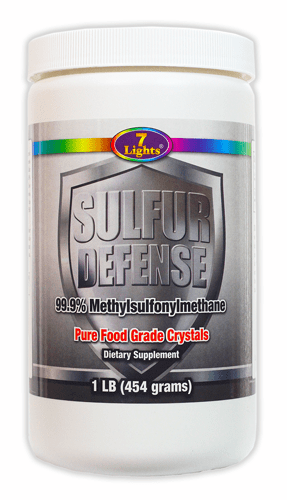 Without enough sulfur in your body most other nutrients will not work as effectively. Sulfur is the ultimate catalyst. 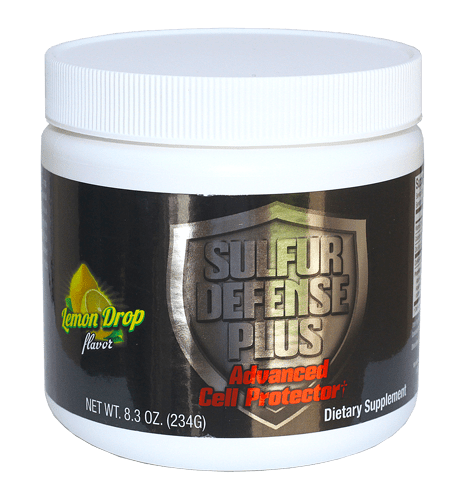 Sulfur is a macro mineral that our bodies need generous amounts of to live and perform hundreds of different chemical functions within your body. Organic sulfur and Methylsulfonylmethane (MSM) are one and the same thing chemically speaking, the same way water is also referred to as H2O. Most chemists and scientists refer to MSM as organic sulfur, including the US NIH and FDA. It is referred to as organic sulfur because it is food grade and bioavailable within the body at the cell level with no known level of toxicity. It is not organic as organic foods are classified. Please don’t confuse the two. There is no certified “organic” sulfur on the market that bears the USDA organic seal. Any company in the market touting this is flat out lying.